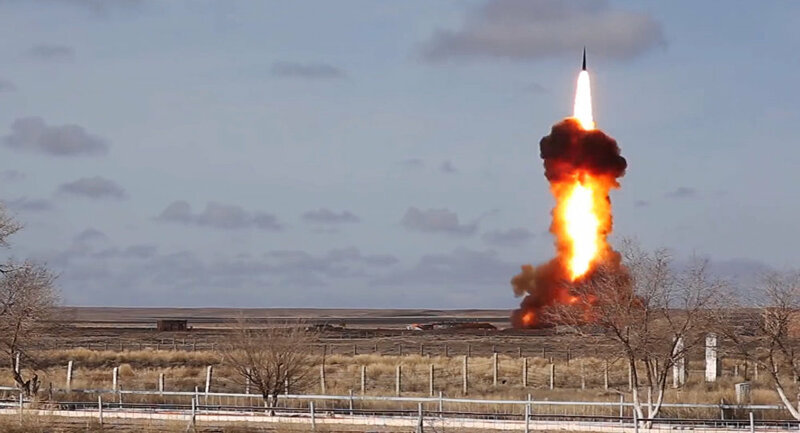 MOSCOW (Sputnik) - Russia's new modernized anti-ballistic missile system has been successfully tested in Kazakhstan at the Sary Shagan testing range, the official newspaper of the Russian Defense Ministry, the Krasnaya Zvezda, reported Monday. "The new modernized anti-ballistic missile system has successfully fulfilled the task and struck a conventional target at the designated time," Deputy Commander of the Air and Missile Defense of the Aerospace Forces Maj. Gen. Andrey Prikhodko said as quoted. The anti-missile system is designed to protect Moscow against air and space attacks, as well as to carry out tasks in the interests of missile attack warning systems and control of outer space, the publication noted. In February, Russian military has successfully tested a new interceptor missile of for its A-135 Anti-Ballistic Missile system at a testing range in in Kazakhstan. Deputy Commander of the Aerospace Forces’ air and missile defense task force, Colonel Andrei Prikhodko, said that the technical characteristics of the new interceptor missile by far exceed those of its present-day counterparts. The new interceptor missiles will be reportedly added to the A-135 anti-ballistic missile system operated by the Russian Aerospace Forces and deployed around Moscow to protect the Russian capital and its environs against enemy missile strikes.